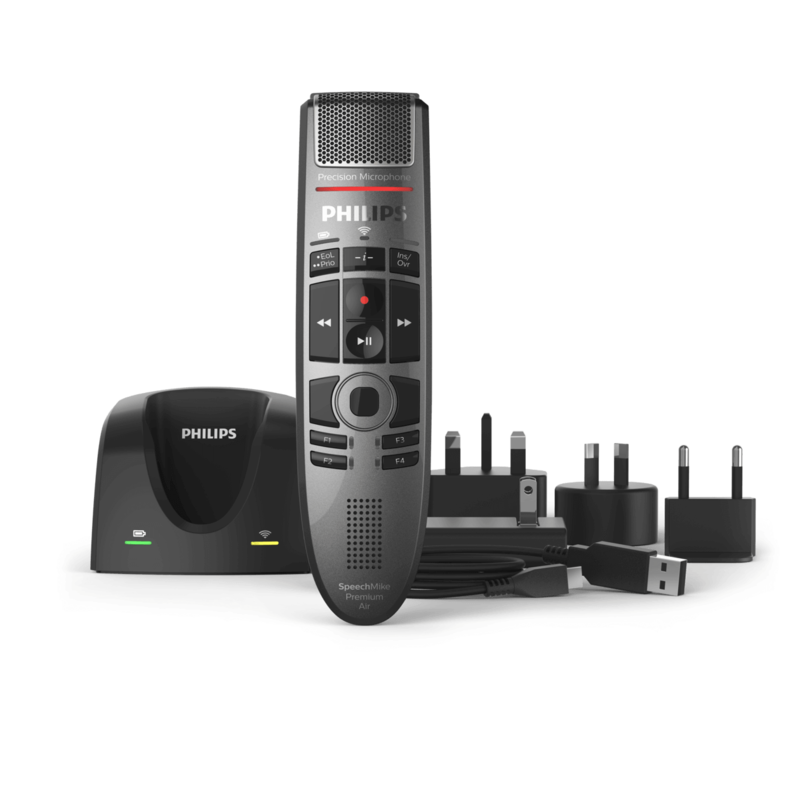 Philips SpeechMike Premium Air dictation microphones are setting new standards in desktop dictation – now with wireless technology! 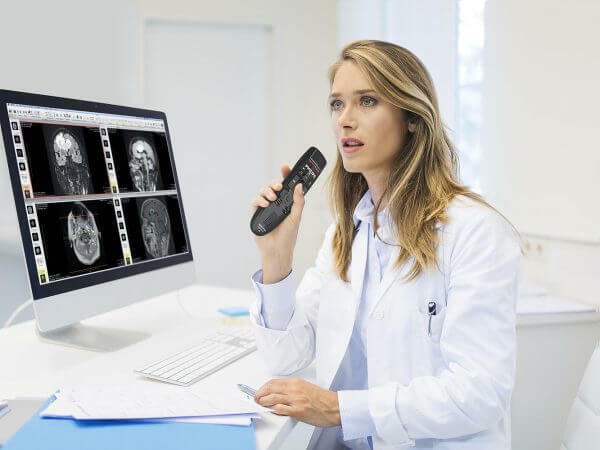 Enjoy working with a wireless dictation microphone while enjoying the stable connection of a cabled device. For best speech recognition results and eliminated background noise. A lossless capture is ensured even when you are 5 meters away from your workstation. The device is light-weighted ensuring maximum comfort. Polished for hygienic working and low touch noises. 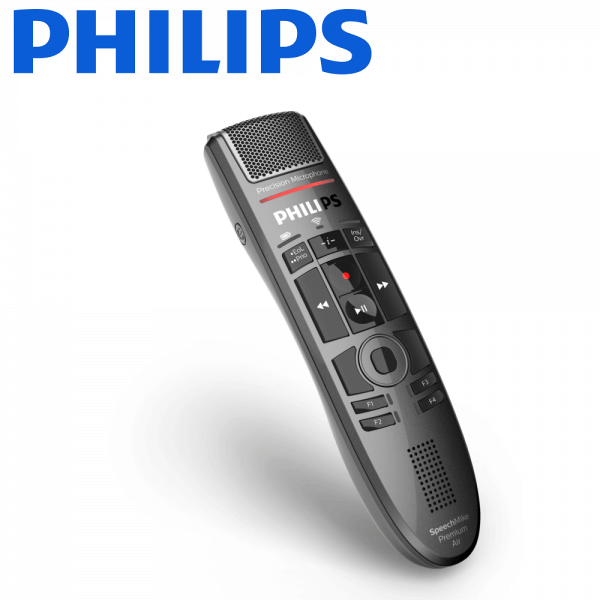 The powerful built-in high-speed charging Li-ion battery ensures up to 24 hours of reliable recording time. Customers can upgrade from their previous SpeechMike model without installing additional software. 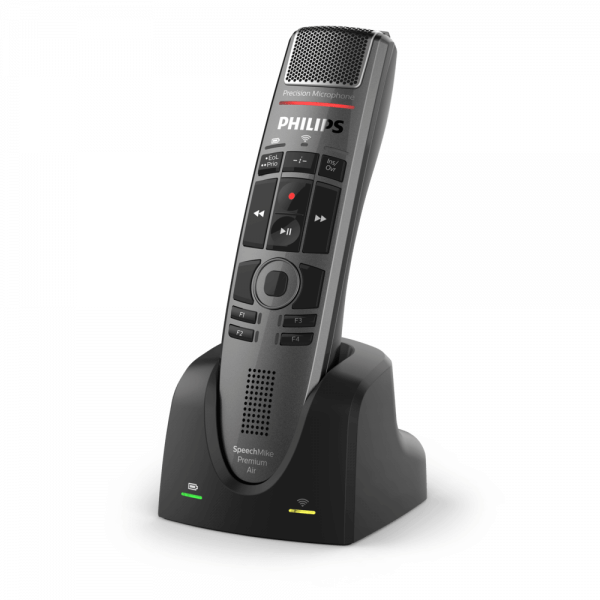 Philips wireless dictation microphones are setting new standards in desktop dictation. Users benefit from the advantages of the industry-leading dictation microphones – now with wireless technology!